Isaac is an online music writer with years of experiencing helping indie artists learn to use digital audio workstations. Making music is fun if you aspire to be a professional producer, or if you simply have the talent to put together melodies in a manner that leaves your listeners amazed. 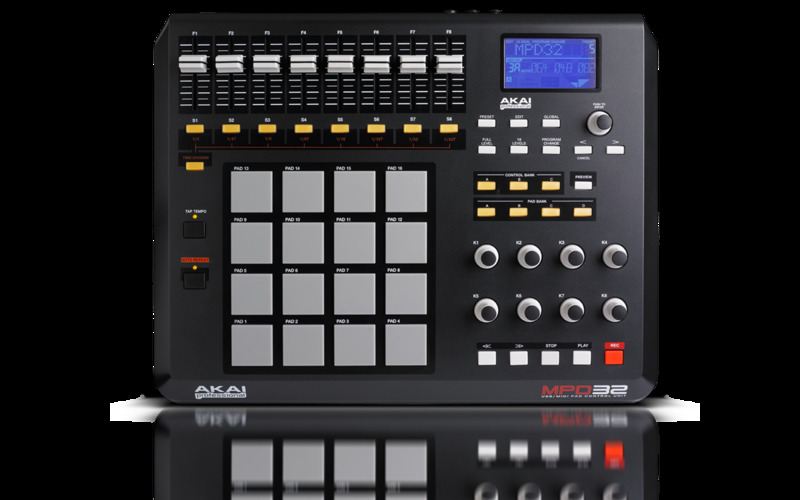 Most indie artists enjoy playing around with samples for their beats and voice chops, but before any of this becomes possible, a digital audio workstation is often required. A digital audio workstation—or DAW, as it is often referred to—in its simplest definition, is a software with integrated tools allowing users to create, import, and record beats and melodies. It also allows them to arrange these sounds, apply extensive modifications on them via plugins, and eventually export the final work—or parts of it—in an audio format that can be shared with the rest of the world. 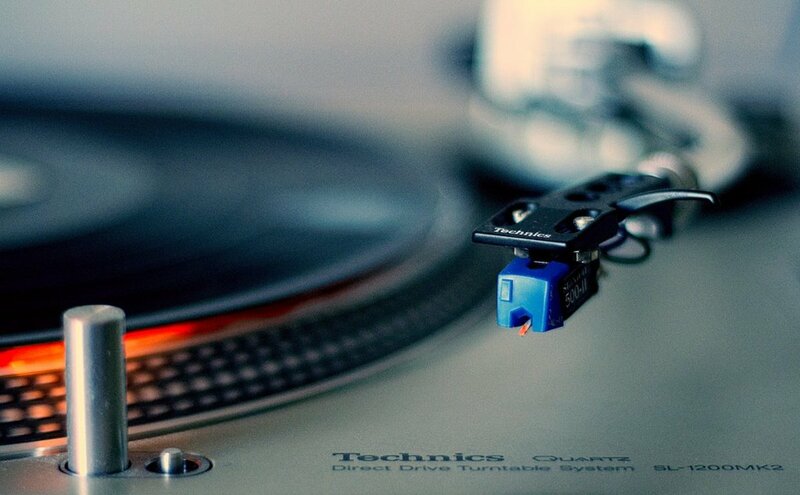 The music industry largely benefits from robust DAWs such as Ableton Live, Pro Tools, and FL Studio. The latter is what we will focus on in this article. If you want to sound as good as Martin Garrix or the late Avicii, you’d be wise to go for FL Studio. It is free to download, free to try, and for the most part, free for comprehensive use. The catch is, it is not free for commercial use, and some of the DAW’s key features, such as Save and Backups are either restricted or limited to demo users. You need to pay for FL Studio’s full version, and after paying, you need to unlock the software. Unlocking FL Studio itself is not very hard and can be done in few minutes. 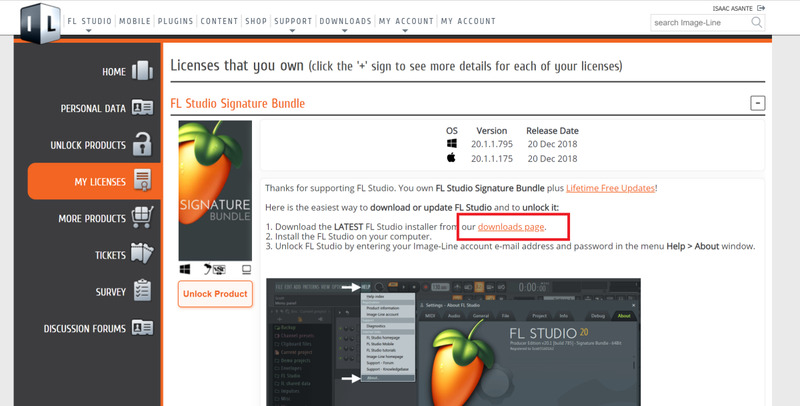 Seeing that the current release is FL Studio 20, which was released in the summer of 2018, the steps in the tutorial below cover the full unlocking process for FL Studio 20 only. 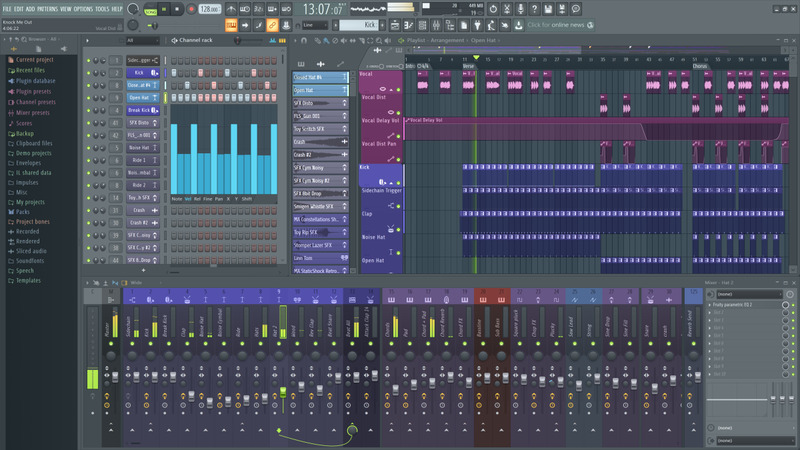 FL Studio is developed, maintained and distributed by Belgian software company Image-Line. It is imperative to have an account on their website to later on obtain a valid product license. Once you head over to Image-Line.com, locate the Sign-In menu item in their top navigation bar. This will redirect you to their login page where you can choose to sign in using your Google, Facebook or SoundCloud account. Figure 1: Accessing Image-Line's website. The Sign In link can be seen in the page's header. Figure 2: The Sign In page gives users multiple ways of accessing their account. 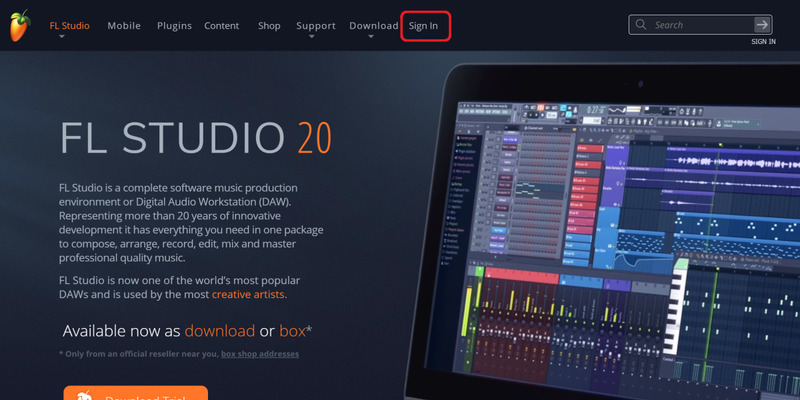 When you are done gaining access to their system, you will be redirected to the official FL Studio 20 homepage. This time, the menu item that previously read Sign In will read My Account. After clicking on My Account, you will land on the Home section of your account dashboard. You should see the FL Studio product(s) for which you already own a license. Figure 3: An edited screenshot of what I see in my Image-Line dashboard. 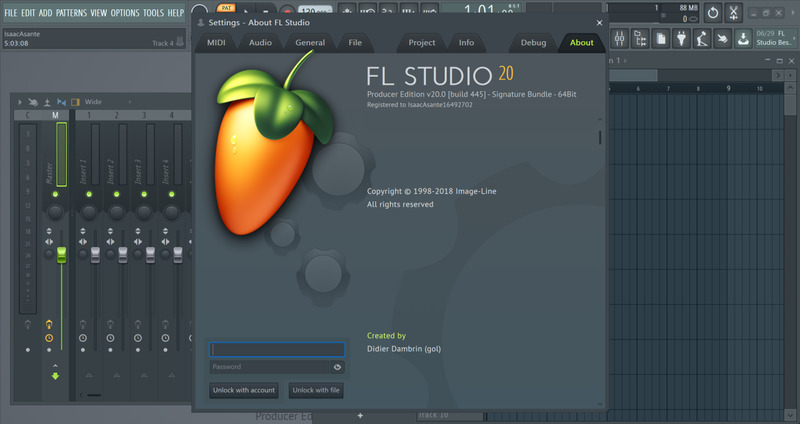 If you do not have any product registered under your account, then head over to the official Image-Line shop to pick the FL Studio 20 edition you wish to own. Note that every edition has its own price and list of features – the All Plugins Bundle edition being the most robust of them all. Whichever edition you go for, you will obtain a fully-unlocked FL Studio 20 product. After you’ve purchased the FL Studio edition you want, go back to your Image-Line account dashboard and click on My Licenses. This will show you the list of all Image-Line products you own, so you should see your edition there. You will notice that, thus far, I have been assuming you already have FL Studio 20 downloaded on your computer. If you have not done so by now, make sure you download and run the latest installer. Note that, if you already have FL Studio 20 installed, running the latest installer will update your existing version. Figure 4: The license page lets you view the product version you have, download it, and connects you to the Unlock page. 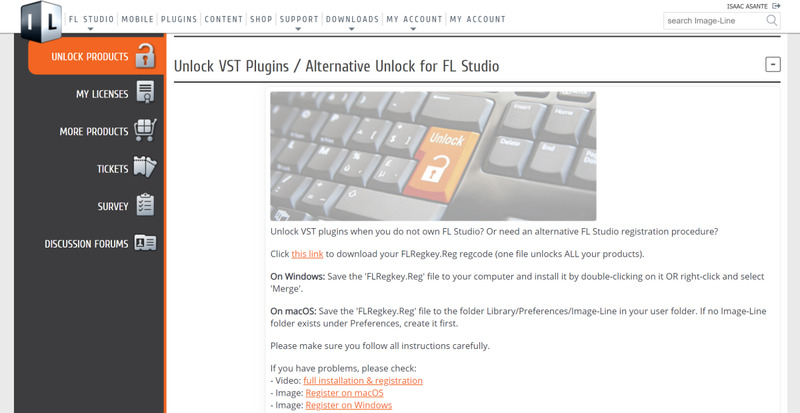 Click on Unlock Products in the sidebar of your dashboard and toggle the “Unlock VST Plugins / Alternative Unlock for FL Studio” section. This will give you the option to download your regcode, which comes as a file named FLRegkey.Reg. Note that the FL Studio 20 regkey is compatible with both Windows and Mac. You however need to save it in a folder you can easily access, for convenience. 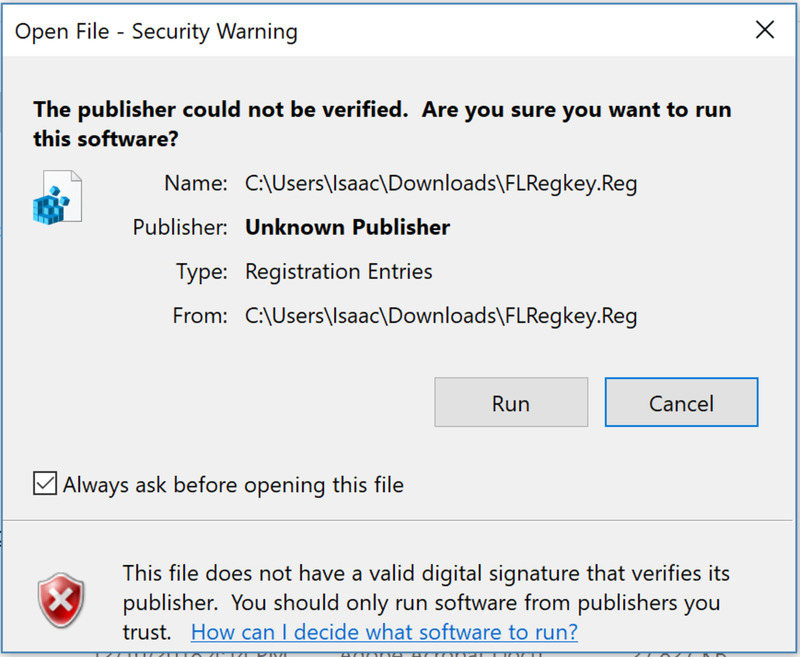 Figure 5: You should only download and use your regkey from your Image-Line account. FL Studio 20 cracks available on the internet are illegal and not safe. You are now ready to install your regkey. This can be done by right-clicking the registry file and selecting “Merge” or by double-clicking the file, then clicking "Run". Figure 6: When installing the registry file, you may encounter a warning message. Click "Run" to proceed with the installation, as the file is completely safe. Once you are done, try restarting the software, then go to Help > About. You should now see your edition, indicating that you have a licensed product. Once you unlock FL Studio the right way, the software is yours for life, as future updates will be made available to you for free. Unlocking FL Studio 20 is not compulsory. You may opt to keep using the Demo version if you are not willing to pay for the full version. You will be able to save your projects, also known as FLPs, but you will not be able to reopen them, until you unlock the software by following the steps above. 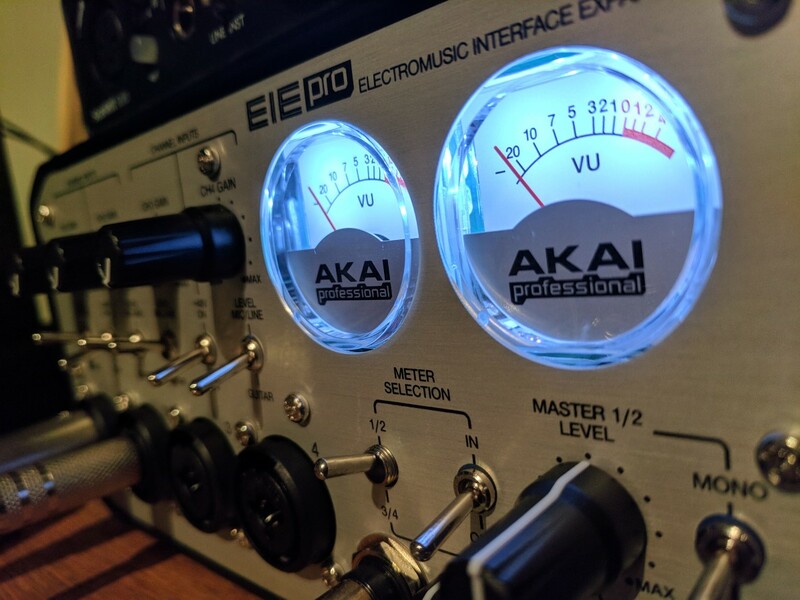 The Demo version still lets you export your projects to WAV or MP3; however, you are not allowed to use your exported audios for commercial purposes. As Image-Line’s End User License Agreement states, usage of the software in its Demo version is strictly limited to private use. Of course, many readers will choose to ignore the rules; but it is wise to think about the consequences that could arise, especially if you are planning on getting your big break. Needless to say, you don’t have to go looking for free FL Studio 20 cracks. Lastly, as an important reminder, this tutorial only covered how to unlock a downloaded copy of FL Studio 20 with a regkey. If you purchased a Boxed version, then the steps might be somewhat different. Unlocking the boxed version requires a 20-digit serial number; but we may cover that in a future tutorial. For now, just keep your FL Studio 20 regkey safe, and enjoy the software’s full version. More importantly, be fair and be creative!